DEL MAR — A plan to come up with a policy regarding gun shows at the Del Mar Fairgrounds by the end of 2019 has been halted, due to a lawsuit filed against the fairground’s board by the show’s operator. The gun shows have become the center of a regional debate over the sale of firearms and ammunition on state-owned property. 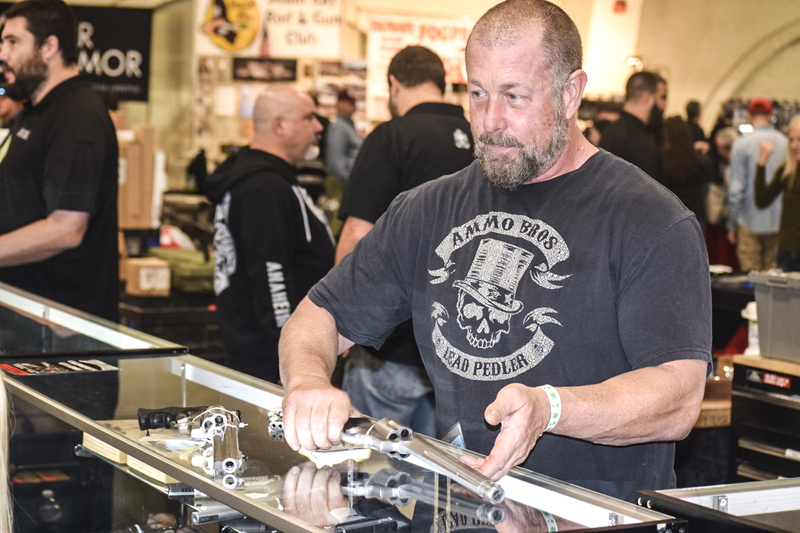 Utah-based Crossroads of the West Gun Shows has operated the event at the Del Mar Fairgrounds five times a year for the past 30 years. In September, an ad-hoc committee of two 22nd District Agricultural Association board members was tasked with coming up with a policy that would consider holding the gun shows for educational and safety training purposes only. The committee — comprised of board directors Frederick Schenk and Lee Haydu — was to present a policy to the Board by its December 2019 meeting. In the interim, the board set a yearlong moratorium on the gun shows. The move prompted Crossroads to file a lawsuit against the Board in January, citing a violation of its first amendment rights to free speech. Schenk announced at a March 12 22nd DAA board meeting that the committee will not be able to bring forward a new policy by the end of the year, due to the lawsuit. At a Jan. 9 22nd DAA board meeting, Schenk outlined the committee’s prior plans to conduct a “large tent” discussion, meeting with city officials, legislative leaders and both advocates and critics of the gun shows. Because the lawsuit is currently in the discovery phase, the board is now limited in its ability to communicate with the plaintiffs on the lawsuit — which include not only Crossroads, but several frequent gun show merchants and advocacy groups such as the Second Amendment Foundation and the California Rifle & Pistole Association. About a month after the lawsuit was filed, California State Assemblyman Todd Gloria (D-San Diego) announced a new bill that — if passed — would ban the sale of firearms and ammunition at the Del Mar Fairgrounds. According to a representative with Gloria’ office who spoke at the March 12 meeting, the bill has been referred to the Assembly Public Safety Committee and is awaiting a hearing date. If it passes through the senate and is signed by Gov. Gavin Newsom, it stands to go into effect in 2021.